The Google Brand was Not Really Damaged by the Termination of the Nexus One Smart Phone. Why? While pundits will write about the techno-savvy of Google in stretching to new markets, what intrigues me the most is how little attention the media has paid to the failed attempt to enter a new market. With all the power and clout of Google, one would have expected that the brand alone would have brought enough momentum and inertia for them to establish a business in smart phones. But consumers are becoming more and more knowledgeable, and figuring out what meets their needs and they want the in-store experience in order to decide to buy. Even Google’s VP of Engineering, Andy Rubin, said that the product ultimately only served “a niche channel for early adopters”. That’s obfuscating the issue. The product was promoted to have an amazing 1GHz processor, smashing display and the new Android operating system. It certainly was targeted to a mass audience. 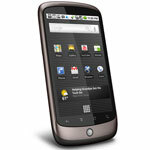 By making the announcement on its Nexus One blog, and posting a notice on its website, Google stepped out of a market quietly. In essence, they slipped it under the radar so far that the press hardly jumped on Google as having a failure. In a sense, the media’s attitude seemed to be “who cares” in a category that is always under the microscope. Compare that to the media attention towards Apple’s new iPhone 4 with marginal reception issues. It was front page stuff. But Google has stayed out of the limelight. There is a lot to learn from Google in how to mitigate broad-based bad press given a product failure. Branders… take note.